Sci-fi thriller Inception and Facebook movie The Social Network have won the main prizes at the Writers Guild of America (WGA) awards. Inception, which stars Leonardo DiCaprio, won best original screenplay, while The Social Network was named best adapted screenplay. The King's Speech, which is nominated for 12 Oscars, was ineligible for the awards and did not make the shortlist. Winners were announced at simultaneous ceremonies in New York and Los Angeles. 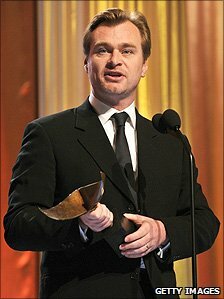 British-born film-maker Christopher Nolan, who wrote, produced and directed Inception, called the award an "incredible honour". He said the prize would have been more significant if "certain other screenplays" had been nominated, without naming The King's Speech. The Royal drama is in the running for the best original screenplay Oscar, against Nolan's Inception. It was ruled out of contention for the WGA awards because it was not produced under contractual guidance issued by the union. Nolan added that he had been "heartbroken" when the script for Memento had fallen outside WGA guidelines nine years ago. Social Network writer Aaron Sorkin said: "I wrote a good screenplay, but [director] David Fincher made a great movie." The writers of Mad Men were honoured for best television drama, with Boardwalk Empire collecting the award for outstanding new TV drama. British screenwriter Peter Morgan, whose previous credits include The Queen and Frost/Nixon, was awarded for his work on small screen drama The Special Relationship. The WGAs are seen as a good indicator of which films will win writing plaudits at the Oscars, because many of its members also belong to the Academy. 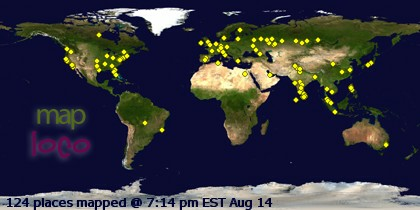 Demonoid Free Invitations codes here..